I never used to take much care of my brows, I only get them waxed. When I don't have time to pop into a beauty salon to get them waxed, I will pluck them myself. My eyebrows are very light, so it's difficult to notice if I don't pluck/wax them. Normally I try to fill them in everyday, but this is something I like to skip. I own three eyebrow kits, the HD pallet from GlossyBox, Gosh brow kit and the Urban Decay Brow Box. I got this pallet with a discount from buyapowa.com. I like to use powder shadows, to fill in my eyebrows. Most of eyebrow pencils are too red/orange tone for me. If you apply too much the effect would be very unnatural. 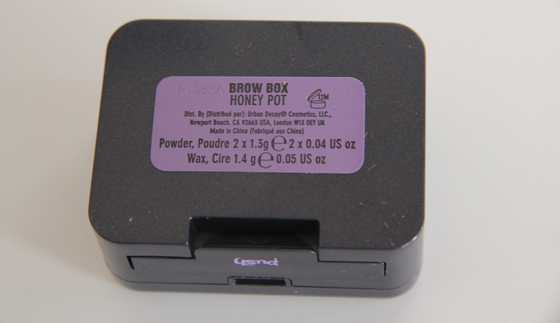 Urban Decay Brow Box comes in 2 shades, honey pot and brown sugar. Honey Pot is a lot lighter great for blonde/brunettes. 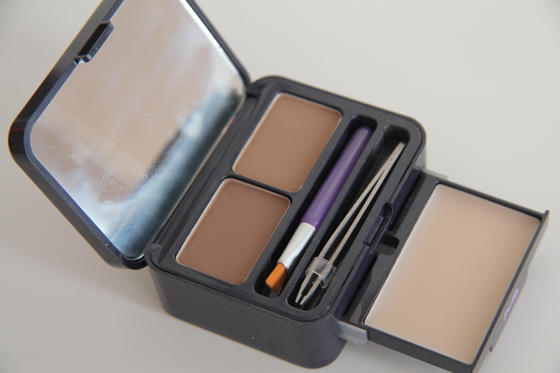 When filling in my brows I use the colour on the left as it's a bit darker, I first dip my brush in wax and then I apply the powder shadow. You can also mix two colours, to get more natural colour. 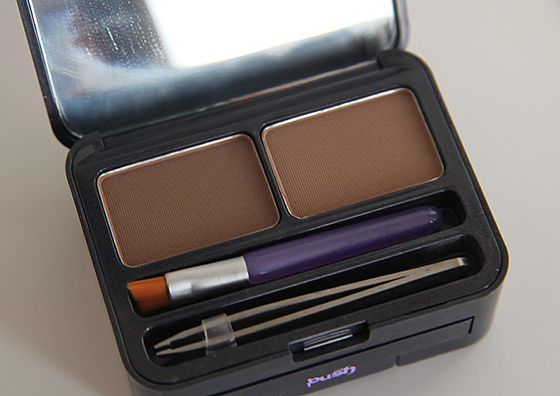 Pigmentation of the brow shadows are really good, you can also use it, as an eyeshadow. The brush which comes with it, is very useful when you travelling, so is the mini tweezers. I just find them a bit difficult to use, as you need to press them really hard, as well as they are a bit too small. The wax formula is very good, as it not as sticky as most wax can be. It's not the cheapest eye brow kit, but I think this is totally worth the price. The quality is very good, as well as the packaging is very nice. 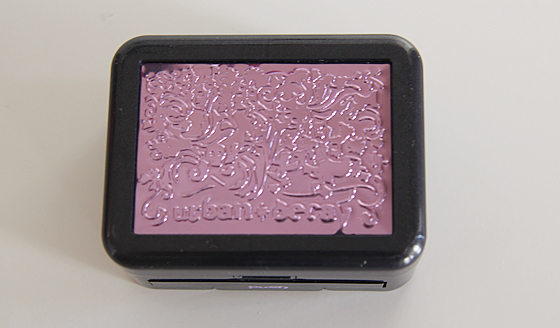 I love Urban Decay products, they never let me down. I would recommend you to check out buyapowa.com as this often is on the offer. This won't let you down, I promise you. Oooh, this is pretty awesome! I'll have to give it a try, for sure! 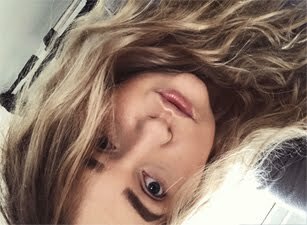 I'd like to treat myself to a high end eyebrow kit, some of the cheaper brand have very orangey undertones in the browns which looks horrible on me!